Homeschool Holiday Stress? The Solution Is Within Your Reach! As the holidays seemingly arrive with astounding speed this year, it can be quite easy to be overcome with the stress of knowing that not only has the Christmas season appeared with little warning, but as a homeschooling parent, you are still responsible for educating your child during this time. Although many families attempt to trudge through like the troopers they are, quite a few realize after a brief time that it just isn’t going to work. How can it with all of the busyness that often accompanies this time of year? Author Shelly SangreyPosted on November 21, 2017 November 22, 2017 Categories Encouragement, Homeschooling, Homeschooling ADHD, large family homeschoolingTags christmas homeschooling, eclectic homeschooling, homeschooling at Christmas time, homeschooling the holidays, how to homeschool at christmas, life learning, natural learning, relaxed homeschooling, unschooling10 Comments on Homeschool Holiday Stress? The Solution Is Within Your Reach! Deschooling Vs. Unschooling- What’s the Difference? Of all the buzzwords that make their rounds in the homeschooling community, the two that are confused the most often are “deschooling” and “unschooling,” and with good reason! Since they are both intended to be as unlike traditional school as possible, it really can be difficult for someone on the outside looking in to determine which is which. Author Shelly SangreyPosted on October 1, 2017 October 3, 2017 Categories HomeschoolingTags deschooling, difference between deschooling and unschooling, unschooling, what is deschooling?, what is unschooling8 Comments on Deschooling Vs. Unschooling- What’s the Difference? A Tale of Ten Homeschoolers- Spiders and Squirrels and Snakes, Oh My! The end of the school year is in sight, and the great outdoors are calling! 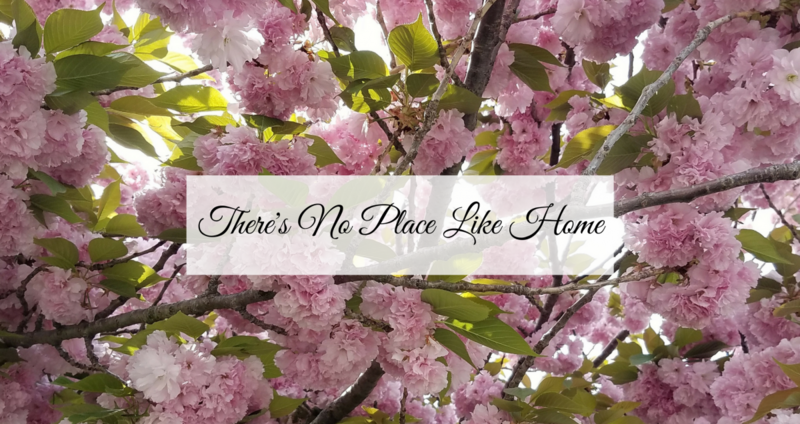 (If the rain ever stops ;P) Join me for another week of highlights from There’s No Place Like Home! Well, we’ve now just completed the second last week of school for the Littles and the Big Kids. The Teens have another three weeks to go because they follow a more traditional school schedule. The end of the school year is a bit bittersweet for me because, while I love the summer, I do not enjoy the lack of structure from not doing our school routine everyday. Besides that, I really do enjoy our school routine, so I know that I’m going to be bored out of my mind without the hustle and bustle of the school day. Oh, well. Just plan on me posting lots of new unit studies because that’s what I usually spend my time doing when boredom sets in. I will admit, however that I am looking forward to the deep cleaning we always do the first few days of summer break because this house is a wreck. This week we started reading Madeline, which the kids have enjoyed so far. We found France, where the story takes place, on our world map and each child got their own map to place a story disk on. They also colored their own French flags, and we discussed so many different topics while reading, such as appendixes, hospital visits, steamboats, land line telephones (who would’ve thought they would be considered history in our lifetime!? ), and the Eiffel Tower. I’m going to confess that we spent a lot of time vegging out in front of the TV because it’s just been a cold, rainy week, and we really didn’t feel like venturing outside. The older kids are still working on their research/reference unit and will probably do so until the end of next week when they finish school. We read about Noah Webster and each child has been busy compiling a list of words they don’t know from our read-alouds and their silent reading selections (which, incidentally, are all the same as last week) to author their own dictionaries. Today they got to decorate the covers. Caollin (11) did get to spend some time at the creek with Dillon (16), and she had a blast finding salamanders, crayfish, and a newt. Otherwise, they, too, have just been relaxing in the house, waiting for the sun to finally come out again. Schoolwork-wise, it’s really just been business as usual with these three. Arianna (14) has been busy reading and helping with the younger kids during school time this week. On Sunday she went to see a local theater group’s performance of “Mary Poppins” with my mother. She really enjoyed it and hopes to see some more shows like it. (She recently saw “Thoroughly Modern Millie,” as well). A few days ago he created a Facebook page for his photography, and he’s really been working hard at perfecting his skills. Devin (17) has, once again, spent a lot of time with our oldest son this week. She’s looking forward to next month’s anime convention in Atlantic City and is busying herself with the details of what characters she’s going to cosplay. She also wants a job in the worst way, but I just haven’t gotten around to getting her a photo ID just yet. Unfortunately, our school district does not issue school IDs to homeschoolers, which makes everything from getting a job to attending after-school events to taking SATs that much harder. I honestly believe they should begin issuing them to homeschoolers, since we do have to report to them yearly, so our kids are, technically, still students in the district, but what are you gonna do? Anyway, this has been our week! 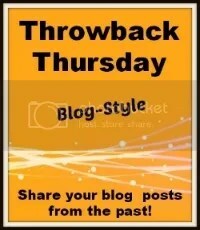 What’s yours looked like? There’s No Place Like Home is now on Facebook! Like my page and receive new posts on your newsfeed! Author Shelly SangreyPosted on May 6, 2016 May 9, 2016 Categories Encouragement, Family, Favorite Books and Links, Homemaking, HomeschoolingTags anime convention Atlantic City, anime convention cosplay, family, fun, homeschooling, homeschooling large families, how to homeschool large family, how to homeschool older children, kids, large families, large family blogs, large homeschool family blogs, natural learning, nature and wildlife photography, nature study, self-directed and interest-led learning, unschooling14 Comments on A Tale of Ten Homeschoolers- Spiders and Squirrels and Snakes, Oh My! Worried about your qualifications as a homeschool, or future homeschool, parent? 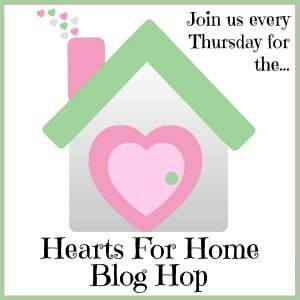 Join me as I discuss the characteristics of great homeschool parents! Does having a degree automatically mean you know how to do everything? The registrar is not alone in asking this question. In fact, the idea of a parent not being qualified to teach his or her children has crossed the minds of many would-be homeschoolers and scared them away from ever going through with their dreams of homeschooling. Realistically, however, most homeschool routines don’t even remotely resemble a typical school day, so the qualifications needed in a traditional classroom are somewhat different than those necessary in an at-home setting. My hope here is to encourage those of you who are doubting your ability to homeschool by listing the characteristics of a successful homeschool parent because, as you will see, they are probably nothing at all like the typical idea of what an average teacher looks like. 1.Receive questions with open arms. Unlike traditional school teachers who must often stick to a script, homeschoolers have the freedom of drifting away from a discussion or lesson if more intriguing ponderings arise. Just today I was reading Madeline with my younger children. A book that would normally take five minutes turned into a twenty minute discussion about Paris, old telephones, appendixes, scars, nuns, steamboats, and- my children’s favorite- retellings of their own experiences with hospital visits. A discussion like this would most likely not have happened within a school setting because of, among other things, time constraints, but at home we have the freedom to explore ideas with our kids as they arise. Questions are a blessing. Delight in inquisitiveness! 2.Encourage their children to learn how to discover answers for themselves. While it is, of course, necessary to help your children when the need arises, it is also so important to help children learn where and how to find resources for themselves. Although my children and I visit the library regularly, the other week I took them there for the main purpose of explaining the Dewey Decimal System to them and taking them on a tour of where to find specific types of books. Giving them opportunities to research online is also something that is necessary in this day and age. I know that many parents have mixed feelings about Google, but I consider it to be hugely beneficial to our learning endeavors. 3.Give their children plenty of time for exploring interests. Some of the most crucial and most important learning does not come from books, but from life. Learn to see the world through your children’s eyes, instead of through the schoolish lenses most of us possess, and you will find value in just about everything your children do. Keep in mind that the hobbies of your children now may well be training for their future. Kids who like to play school may become teachers, and those who insist on taking everything apart to see how it works are likely to be budding engineers. If your children are actively exploring life, there is no such thing as wasted time. The options are really endless. Just keep an open mind about how learning happens, and you’d be amazed where the help can come from! 5.Let their children have a say in what they’re learning about. Think about it. Can you concentrate on something you have no interest in and no need for? Me neither. My older children all give input on what their learning plan will consist of. My oldest daughter loves psychology and will be taking it for a third time next year (her senior year). This could never have happened at our public high school, as they only offer one half-year course on it. Why force her to take a Social Studies credit that she’s never going to need in real life? It just doesn’t make sense. I guarantee your kids will put more effort into work they consider to be useful and interesting. 6.Know when something isn’t working and be willing to change it. Sometimes a particular curriculum may look phenomenal to us parents, but when our children set out to doing it, they don’t feel the same way. If your child is struggling to the point of tears or complete apathy, it’s time to ditch the book and move on. This is one of those other areas that homeschoolers have the advantage. Since public schools have limited budgets and slews of students to purchase textbooks for, they don’t have the option of doing this. While I certainly do remember trudging through those dry textbooks in high school, I don’t remember one important thing out of any of them. I know sometimes it may seem like a waste to discontinue something you paid for, but it is so much more important that your children can learn well. Unused curriculum can easily be saved for younger siblings (maybe they’ll like it! ), sold to other homeschoolers, or even given away for free to a family with a limited income. 7.Drop everything they know about “school” and design a plan that works for their family. I want you to close your eyes and remember what your school days were like. Crowded hallways. Cramped desks. Bathroom passes. Ringing bells. Do you have a clear picture? Now, push that picture out of your head because homeschooling does not have to be like that. Observe your children. Take notice to how they do things and what they spend the most time on. Only you can decide what is right for your family. And I’m here to tell you that you may not get it right the first time. Or the second. Or the third. 🙂 All kidding aside, you will figure it out, and your children will thank you for it. I was going to title this post “What Makes a Great Homeschool Teacher” but decided against it because, to many of us, homeschooling doesn’t feel like teaching. It feels like life. It feels like family. It feels like love. That is what it takes to make a great homeschool parent. Are you qualified? I recently overheard a conversation between two young mothers. One of them was complaining about the day care her three yr old attends. Her complaint? They play and do art projects all day, instead of teaching the kids their letters and numbers. I was taken aback. What exactly is wrong with that? That sounds like the perfect day for a child that age. But then she got down to the crux of the issue- the parents at that daycare expect their children- their very young children- to receive school-type lessons at this facility. Which got me thinking…aren’t we parents the ones who notoriously lament how children grow up too fast? Perhaps we need to take a closer look at the issue and explore why this is. –We school our children too early. Everywhere you turn, you will hear people talking about the importance of Early Childhood Education, but just how important is it? Is it really necessary that children as young as three should be expected to sit down at a desk for several hours a day tracing letters and numbers? I don’t know about your children, but mine copy letters and words off of books, their siblings’ papers, and anything else they lay their eyes on without any prompting from me. They think it’s fun! In fact, my now six-year-old learned basic addition and several sight words at the age of four simply by being around the older children when they were doing their school work. I realize that many preschools and Kindergarten classes do include fun hands-on learning activities, but, again, is it really necessary for this to happen in a classroom setting? Young children are superstars when it comes to investigating and exploring the world. As John Holt used to say, children are natural scientists. They do perfectly well at learning about the world when they are given the time, freedom, and opportunity to do so. If there is any way to quash their fascination with the world and their innocent wonder, it is by sending them to school where, instead of finding interesting things to do themselves, they begin to be told by someone else (presumably the teacher) what is important to know about. This eventually results in children who are apathetic, lethargic, and lack imagination because they, in essence, forget how to play and are used to doing nothing but sitting all day. –We overschedule our children. As if it isn’t bad enough for them to be shut inside a building for six hours a day, many children participate in after-school activities at the schools themselves, or they are kept busy with organized sports or other various engagements. Obviously, extracurriculars can be a good thing. It is when they get to the point of taking over your child’s life that it is time to take a step back and rethink things. Schools are very good at organizing after-school programs, and many of them are wonderful, but again- how much is too much? Students are in school for a mandatory six to seven hours a day, and yet, many parents sign them up for these clubs and activities which will keep them confined in the school building even longer. Let me be clear that I do not have a holier-than-thou attitude of someone who has never been there. When my kids were in school, I was one of the parents who signed my children up for every single activity I could because I thought it would be good for them. It wasn’t. It resulted in kids who no longer had time to be kids. Studies show that children today are beginning to feel the same effects of anxiety as adults because of this culture of being able to “do it all.” Is it really worth it? –The peer influences in school are less than desirable. No matter how you raise your children, in school they are going to be around other children from homes with different moral standings than you. You may be able to shut off the cable at home, but I assure you that at school they will be exposed to everything you try to protect them from. They will see girls in short skirts who idolize the likes of Beyonce and Katy Perry. They will be around boys who, in their quest to be “grown-up,” will introduce your children to words and concepts their young ears are not prepared to hear. And if your child shows any signs of vulnerability or innocence, they may well be singled out and teased for upholding the standards you’ve tried so hard to teach them. I recently had to stop allowing my children to play alone with a sixth grade neighbor boy who asked my fourth grade daughter if she wanted to “make out.” Kidding or not, these are NOT the influences I want my children to have. There will be plenty of time for them to deal with these issues when they are older. Right now, my hope for them is to allow them to enjoy being children. -And don’t even get me started on technology! I get it. Technology is a wonderful thing, but is it really necessary for five- and six- year old children to own their own cell phones? I do let my younger children each have a one hour turn on my phone on the weekends, and even that often takes them away from opportunities to play outside or with friends. I can’t count the number of times I’ve gone to a party or picnic where all of the kids sat in the house with their heads buried in their phones or tablets the entire time. Just last week my kids came home from a neighbor’s house and told me that the entire time they were in his yard jumping on the trampoline, he was in his house playing on his tablet. Technology may be great for the economy, but it steals away childhood merriment and replaces them with inanimate pixels. –Sometimes we are as much to blame as anyone or anything else. How many times have we scolded our children for simply doing childish things? Things that weren’t necessarily bad but, maybe, were loud or were interrupting our quiet time? By no means am I advocating to let children run wild. I’m simply pointing out (to myself as much as everyone else) that sometimes we have unrealistic expectations. By the same token, how many times have we told our daughters that they might look nicer with just a little makeup? Or tried to push a more mature looking outfit on them? My daughter’s friend’s mother regularly buys her push-up bras and crop tops. I’m not suggesting anyone reading this might go that far, but it’s a great illustration in how far parents will go to “help their children mature.” Is it really so terrible if our daughters continue to play with dolls throughout middle school, or our sons are fascinated with Pokemon cards, instead of cars? And is it reasonable to expect our preschoolers to play quietly all day with nary a shriek or whimper? Is it really so bad to have a house that may be noisy but is noisy with joyful laughter? One thing that I need to remind myself (and my husband) of daily is that our children are children- not little adults. Hold your children close. Cherish them. Protect them. Guide them. And most of all- don’t rush them into adulthood. It will come too quickly without your help. Welcome back for the third installment in this series. In my first post, I addressed the issue of safety. The second was about the importance of personalized learning, and now today I will be discussing the issue of values. This is but a sampling of the types of behaviors common in schools today. The attack on Christianity, to me, lies at the very root of this problem. General principles of right and wrong that have been practiced since the foundation of this country are rapidly being replaced by a “do whatever feels good” mentality, and it is hurting our children. What kind of a message are we sending to our children if we are raising them in one way at home, and then sending them to a place where they will often spend more time than they do with their parents, only to be bombarded with ideas contrary to the family’s? And I’ve heard the “school as a mission field” argument (which I plan on addressing in a future post), but that doesn’t cut it with me. There are adults who cannot handle the opposition they face everyday. Why would we expect our precious children to stand against it? Additionally, kids tend to look up to their teachers and value their opinions. Are you comfortable sending your child to a place that devalues your beliefs? Let me make it clear that this is not a diatribe against teachers. I am well aware that many times it is out of their hands. Several years ago when my kids were still in school, two of the teachers, who I did not know at the time were believers, used to approach me after school all the time and ask me to confront the principal about what they felt were injustices but couldn’t do anything about themselves for fear of repercussions. Again, if adults are uncomfortable with the situation, how much more are the children? If there is one thing you can be sure about, it is that schools are not religion-free. They are well-steeped in the religion of secular humanism, thanks, in part to the Father of Progressive Education himself, John Dewey, who was not only a Secular Humanist but a co-author and signer of the first Humanist Manifesto. Manifesto and honorary NEA president. perceive their role as proselytizers of a new faith: a religion of humanity. I could go on and on with examples like these, but I think you get the picture. Suffice it to say that schools are, indeed, teaching religion, despite what they say or even believe. Without some semblance of a clear indicator of right and wrong, our schools will continue to confuse and, inevitably, deceive our children. Homeschooling is a valid path to instilling our own values and beliefs into our children, and this is not exclusive for Christians. No matter what your beliefs may be, it is your right as a parent to raise your children to reflect the beliefs of your family. It is inconceivable, and a bit laughable, that the public education system has felt it necessary to trample on the moral values which are central in our lives. Let’s face it… they can’t even handle academics properly anymore, so why would they continue to take on more burdens for themselves? Unfortunately, I think we all know the answer to that. The time has come for we, as parents, to take our children back. Government education has crossed the line once again, and it’s high time we do something about it. Who’s with me? Join me next week as I look into the freedom of choice that accompanies the homeschooling lifestyle! There’s No Place Like Home is now on Facebook!